All evergreen trees are not created equal. Most people cannot tell the difference between a spruce, fir and pine, though many distinct differences do exist. Read more on what specifically makes spruces and firs different from pines. If you are unsure of the difference between firs, spruces and pines, there is a good rule of thumb: If the needles are carried in groups of two or more, your suspect is surely a pine. If the needles are carried in singles, it is either a fir or a spruce. 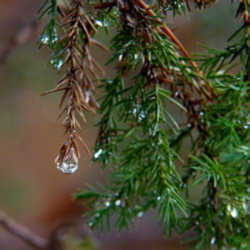 Spruces can be identified from firs by rolling a solitary needle between your fingers. A spruce's needle will roll easily between your fingers because it has four sides to each leaf, while a fir's needles have only two sides, so they will not roll easily between your fingers . Botanically speaking, a spruce is any specimen in the genus Picea (pronounced PY-see-uh) and a fir is of the genus Abies (pronounced A-bees). Firs and spruces seem to be lesser known than pines but are just as beautiful and majestic. 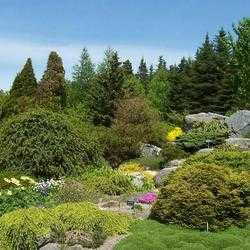 Here is a mere sampling of the varieties available of spruces and firs. 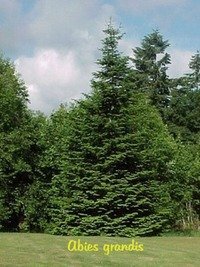 The Oriental Spruce is a stately evergreen known for its columnar growth habit. Its footprint is small but impact in the landscape is great. 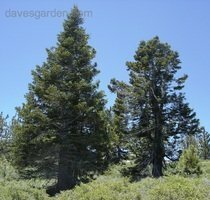 It is a relatively fast grower as most spruces are, growing half to one foot per year reaching a mature height between 70 and 120 feet . It is hardy to Zone 4 and has smoother, glossier needles than many of its cousins. 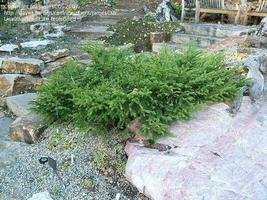 A common landscaping plant, the Dwarf Alberta Spruce is a compact, long lived specimen tree that lends a formal air to the garden. Be careful because the needles are especially small and sharp! 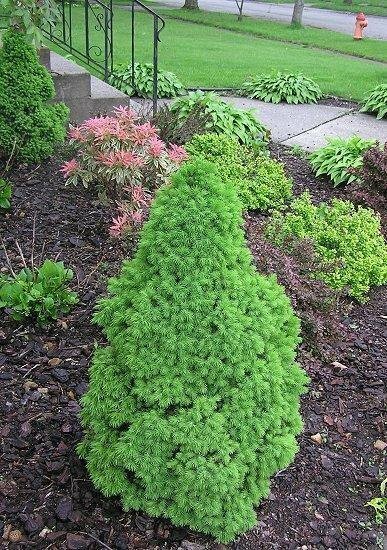 Dwarf Alberta Spruces maintain their compact conical shape naturally and do not need pruning, acting like an effortless topiary. A close relative of the oriental spruce, Serbian spruces also grow into tall, narrow columns. The foliage are a bit more open than other spruces with branches that look like a ballerina's outstretched, graceful arm. Serbian spruces are common on the U.S. Eastern coast, especially in sites where space is at a premium because of its small spread. 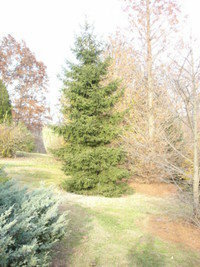 Hardy to Zone 4, Serbian spruces can reach 90 feet tall in optimum conditions. 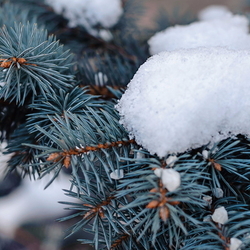 Colorado blue spruces are synonymous with winter evergreen beauty in the mountains. Blue spruces are known for their full foliage which skims the ground when left unpruned. They make excellent wind blocks and natural snow fences and are reliably hardy to Zone 2. Once established, blue spruces are highly drought tolerant and will survive in many different soil types including alkaline and clay. They are fast growers, putting on an average of one foot per year. Many different varieties of blue spruce are available from weeping specimens to compact shrub-shaped types. Norway spruce is one of the fastest growing spruces, so it makes an excellent screen planting. 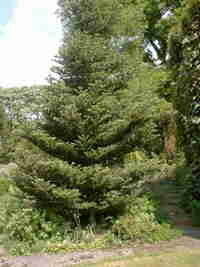 It has longer, airier foliage than other spruces but is just as regal with its upswept branches. It is grown in many different conditions around the U.S., mainly in the eastern half. There are many different varieties of Norway spruce, including 'Reflexa' a weeping form, 'Witch's Brood' a small globe form, and 'Little Gem,' pictured at right. 'Little Gem' is one of the many different forms of Norway Spruce available. This petite variety is excellent for alpine and rock gardens as it is very slow growing and at its maximum will only reach 1 to 2 feet tall. 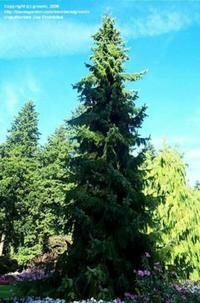 Grand fir is the largest of the fir family, living up to its name and growing up to 250 feet tall. Its pyramidal shape is marked by full, deep green foliage. Hardy to Zone 4, grand firs are commonly found on the west coast of the U.S. up through Canada. Grand firs make wonderful specimen trees and should be given ample room to grow. Also known as the white fir for its light colored bark, the Colorado fir is a slow-growing, deeply rooted variety. It does best is cool, dry environments such as the Intermountain and Rocky Mountain regions. 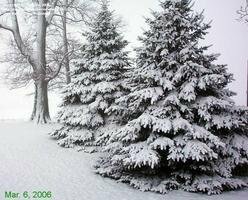 Colorado fir is an excellent choice for landscaping and snow fencing because of it deep roots and winter hardiness. 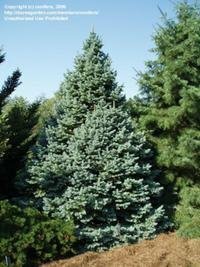 A smaller, compact variety that looks somewhat like a Colorado blue spruce with the exception of its light and tough yet yielding bark that stands out among other evergreens. They are very closely related to the sub-alpine fir, both of which are commonly found at elevations of 8,000 to 11,000 feet among the Rocky Mountains. It is hardy to Zone 4, and because of its natural habitat can survive in harsh climates. Pictured at left is the variety 'Arizona Compacta,' which is a smaller and equally attractive version of the cork-bark fir. 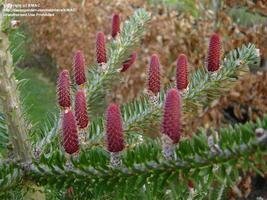 As the name implies, this fir is native to high mountains of South Korea where it enjoys a temperate rainforest climate. 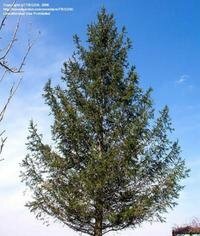 The Korean fir is at home with heavy rainfall, cool and humid summers, and heavy snowfall in winter . The most striking feature of Korean firs is their large purple cones which turn to brown when mature (pictured at left). Spruces and firs hold an important place in natural as well as cultivated landscapes. Pines are not the only important evergreens out there; be sure to educate yourself and keep an eye out for the many majestic spruces and firs.